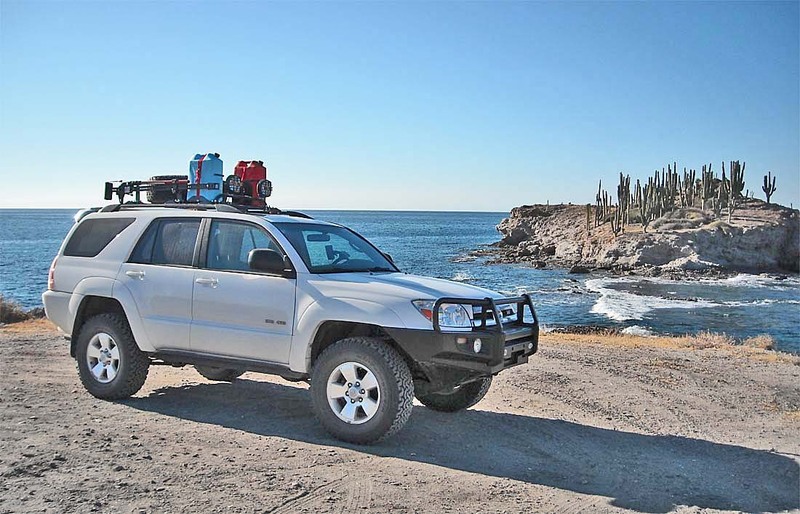 Photo at left shows the Rocky Road 4runner overlanding in Mexico, Sea of Cortez. OME lift, ARB Bull Bar, Rocky Road Supersliders, and Rocky Road low profile Adventure rack. All parts available from Rocky Road at the world's lowest prices! 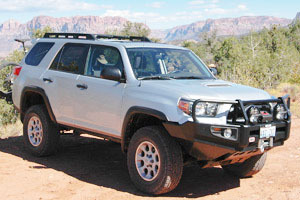 Rocky Road carries lift kits for all Toyota 4x4s. If you have something other than a 4runner/pickup, please use our search bar above to locate information on your specific vehicle. OME suspensions sit nose-down... all of them, from any retailer. Rocky Road specializes in Toyotas and so we know this is the case and manufacture our own TRIM PACKER kits which help to level your truck when the Old Man Emu suspension is installed. We highly recommend picking up these optional Trim Packers with your OME suspension, or you will most likely be a little bummed at the nose-down stance from the standard OME suspension upgrade. All Rocky Road kits now include the leveling spacers and differential drops to help reduce wear and tear on your front axles. Pictured to the left is a great looking Toyota HiLux (sadly, never available in the U.S.). It is outfitted with a complete Old Man Emu suspension. 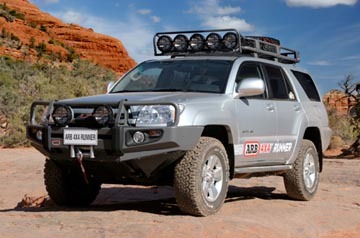 Also available for your Toyota are ARB Bull Bar, Safari snorkel, and Safari racks, from Rocky Road! Scroll down to find the correct component or kit for your Toyota. ASSEMBLED Toyota 4runner Strut kits!!! 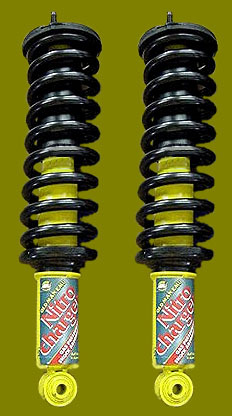 Saves 1-2 hours during your suspension installation. Saves you money! No specialized equipment needed during installation which means many can install this kit at home! All new strut caps and rubber isolators. No need to re-use your existing old rotting pieces for the strut assembly. Our kit gives you all new Toyota strut parts! If you would like Trim Packers installed into the struts as well, to compensate for Heavy Winch bumpers or simply to raise the front slightly more, please add those in as extra items in the same order. Rocky Road will always be committed to bringing you the best products and service. Find out why we are a leader in ARB sales throughout the world and 3rd largest on the planet for Old Man Emu volume. Contact us with your best deal, and we'll try and beat it so you can be confident in dealing with a premier ARB facility. Please call or email us for questions regarding international, Alaska, or Hawaii shipping. PLEASE NOTE: Old Man Emu kits 1996-2009, sold thru any 4x4 shop leave the front of the Tacoma low. FREE WITH PURCHASE OF A FULL (1996+) OME KIT FROM (includes free diff drop too)!! -Free diff drop and leveling spacers now included!! Picture of 96 4Runner with OME system. 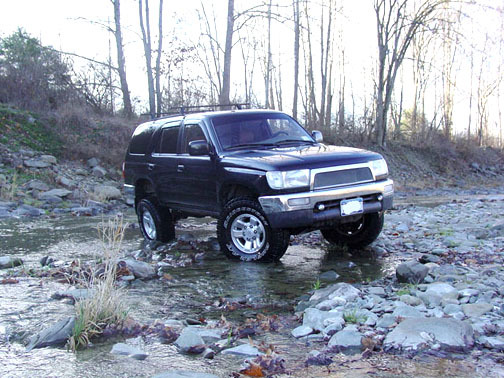 Picture of IFS 4Runner with OME rear springs, OME F/R shocks. This vehicle is also sporting an ARB Bull Bar AND Safari Snorkel! If retaining stock bars. adjust front torsion bars for additional height, after installing rear lifted springs. 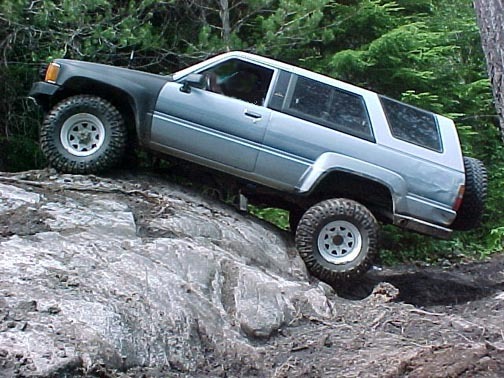 Picture of 86 Toyota 4Runner with Old Man Emu rear lift springs, and F/R OME shocks. If retaining stock bars, adjust front torsion bars for additional height, after installing rear lifted springs. 1979-85 Old Man Emu Toyota 4Runner Front & Rear Leaf Spring lift kit, 1979-1985, 2-2.25"
This is what Old Man Emu strives to achieve with its range of fully integrated4x4 shocks & suspension systems. This comment, taken from the internet, from a Toyota owner, is typical of the benefits enjoyed by customers of Old Man Emu all around the world.